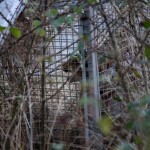 Sticking to the subject of last week; capturing carnivores, this week I’ll share another couple of very special moments. 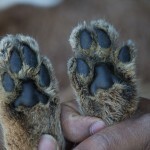 Last week it was all about lions and wild dogs. This week it’s all about servals and caracals. What are those, you say? Read on and you’ll know. All I can say is, they are awesome! Let’s start with the serval. Now this was a very special one for me, for many reasons. When researching for my Masters in the Serengeti, the serval was the one animal I wanted to see more than anything, but it kept eluding me. A medium-sized cat, with yellow fur and black spots. 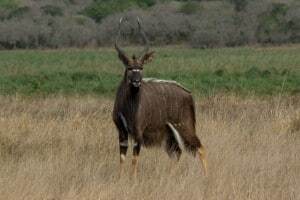 It has incredibly long legs, making it quite tall, and if you get a fleeting glimpse of it, you might even think you saw a small cheetah or a leopard. It has huge ears and a very short tail. Quite unique-looking. 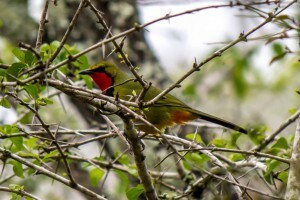 But it is incredibly shy, and very few ever see them. That includes me. Disappointed of not seeing a serval in the Serengeti, I kept hoping I’d see one when volunteering in South Africa a couple of years later, but all I got was a shadowy silhouette at night. At least it was there, but I could hardly count it as really seeing one. Again, I had to leave disappointed. 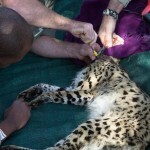 When I eventually began my leopard project, I had given up on seeing a serval. Too hard to even try to find. However, my luck would change. 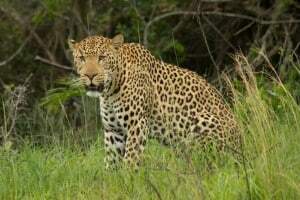 As it turned out, my supervisor for the leopard project was running his own project. And his subject species was? You guessed it, serval! I could not believe it. Maybe I would actually see one this time? I knew he was busy with his own research, and I was mostly busy with mine, but then, one day, the call I had been secretly hoping for came in. He had caught a serval and wondered if I wanted to come have a look! There was no question; I just had to tag along. It’s not like seeing one by chance in the wild, but it would, perhaps, be my only chance to actually get a good look at one in daytime. My supervisor had baited a cage with a trapdoor. Sometimes the cage got jackals, mongooses or porcupines, but it was the serval he was after, and this time he had hit the jackpot. 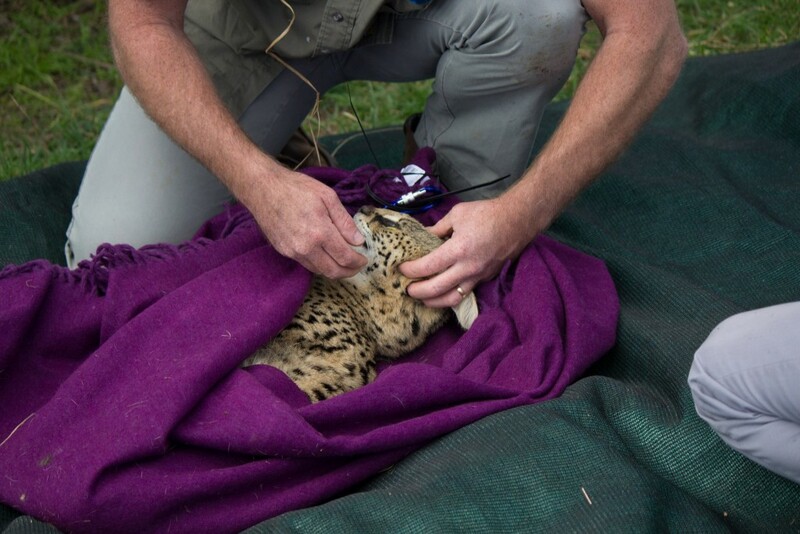 All servals caught were to be fitted with a tracking collar, and this one was no different. 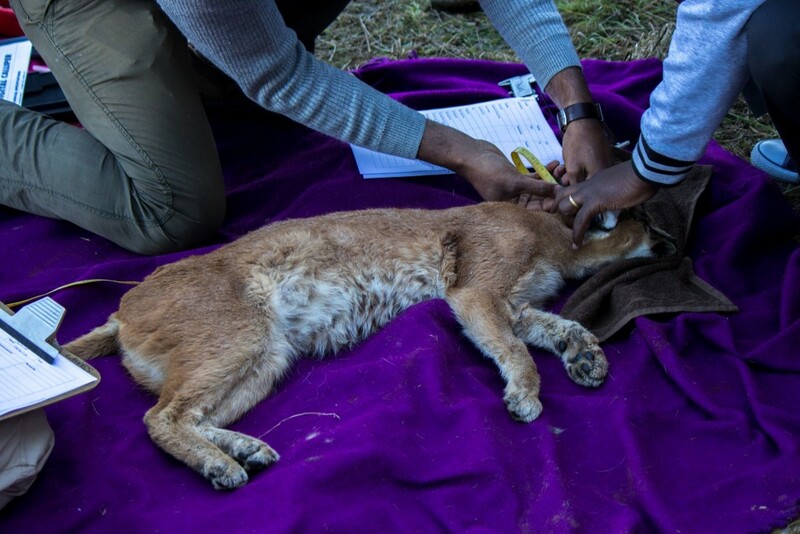 His project was on serval home range, movement and occupancy in a farmland area. I remember when we got there. 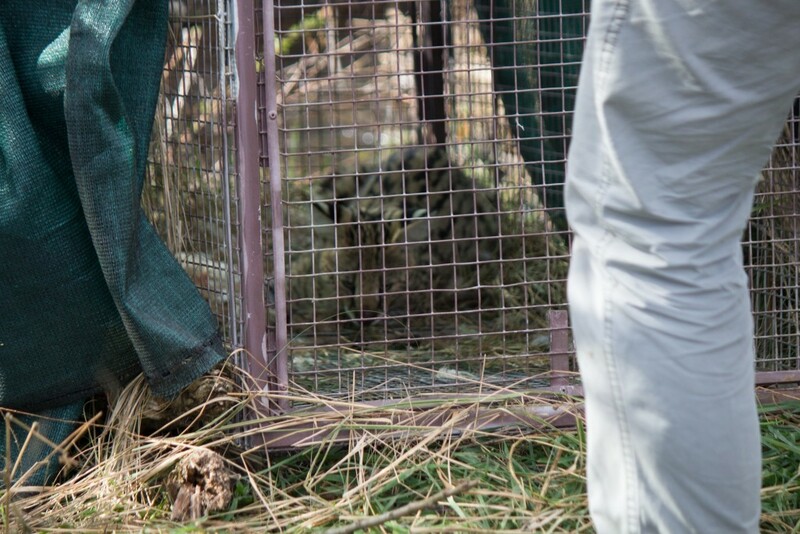 A young female serval was caught in the cage, but a blanket on the outside of the cage kept it from reacting too much to our presence. 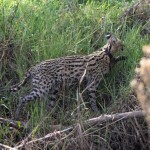 I could not believe there was a live and wild serval right there in front of me. It was already a bit distraught, so it all had to happen fast. 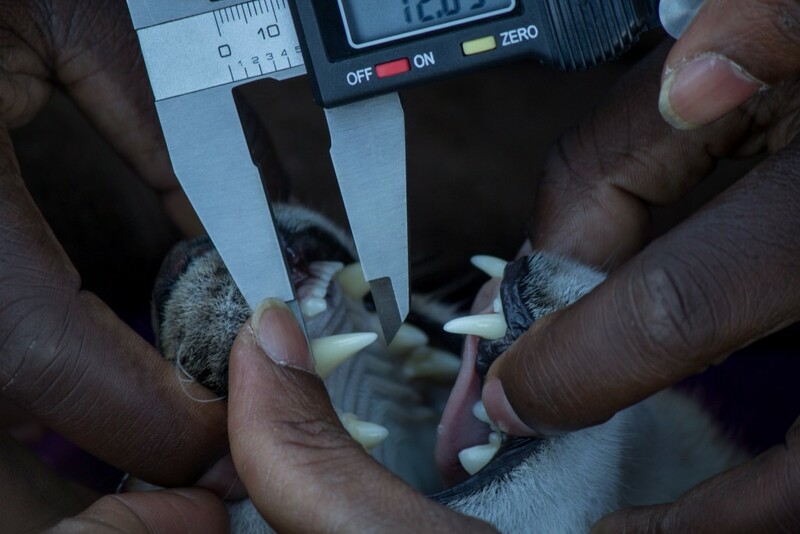 When the vet came up to dart it, it acted with slight aggression. Luckily, the drug acted fast before it could hurt itself on the cage, and the procedure afterwards got on nicely. The safety of the animal is always paramount in operations like this. 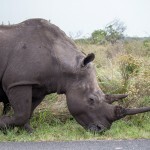 It is an incredibly beautiful animal, and I felt privileged to be able to get that close. 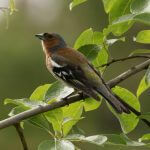 I helped with the recording of the data, such as size and general health. The fact a live serval was right there in front of me felt unreal. Finally, I had seen my serval, even if it wasn’t exactly as I had imagined my first encounter would be. 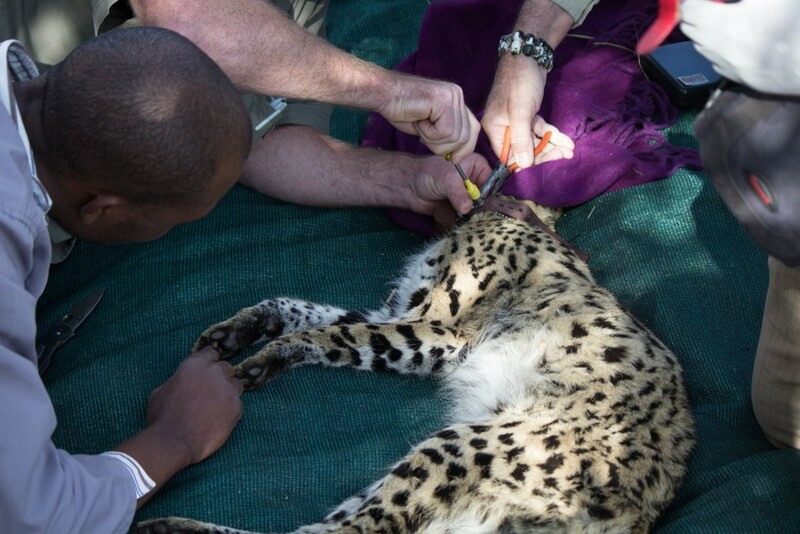 Here’s a few photos of the procedure, and a photo with the serval running off with the collar securely attached at the end. A moment to remember. 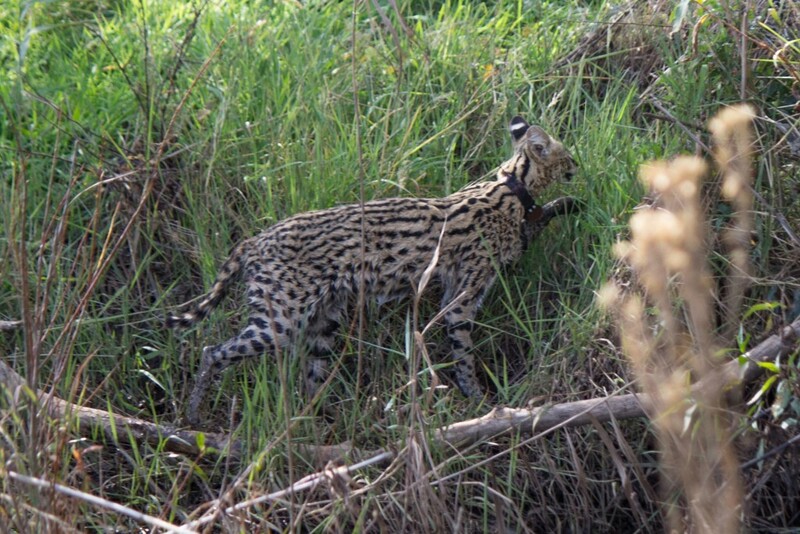 In the end I think my supervisor caught and collared 12 servals. If the first one was special, then this second one was even more so. 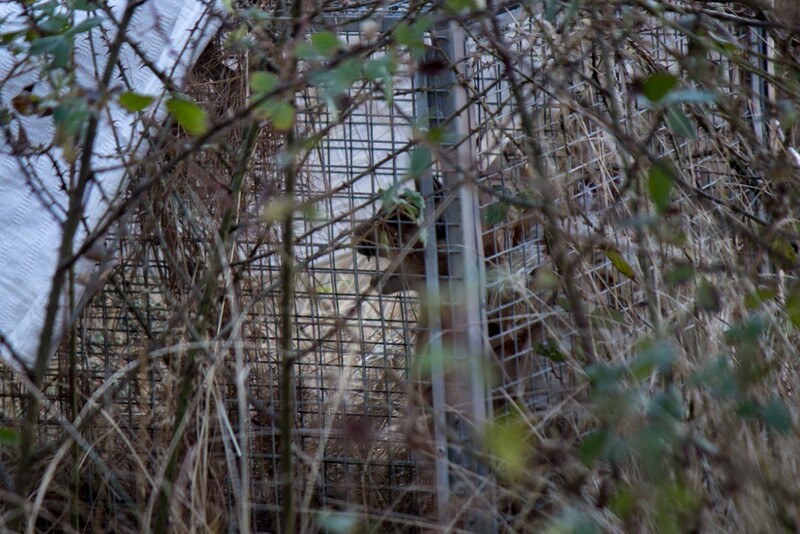 As I said, my supervisor wanted to capture and collar servals, but quite often other animals got trapped instead. 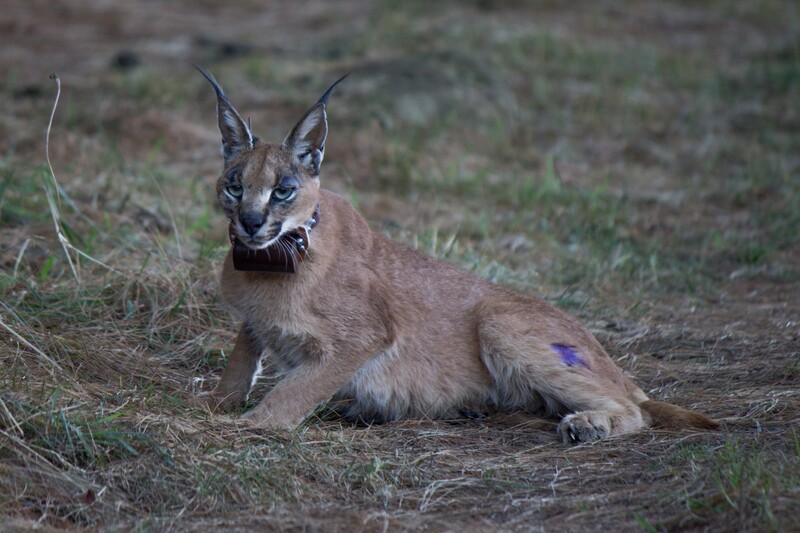 However, I don’t think anyone ever thought a caracal would find its way to the cage, but one night, to everyone’s surprise, one did. I had always wanted to see a serval, as they are shy, but still fairly common, but a caracal, however, I deemed so rare that I never even dreamt of ever seeing one. So when my supervisor told me he had caught one and asked if I wanted to come see, I almost fainted with excitement. 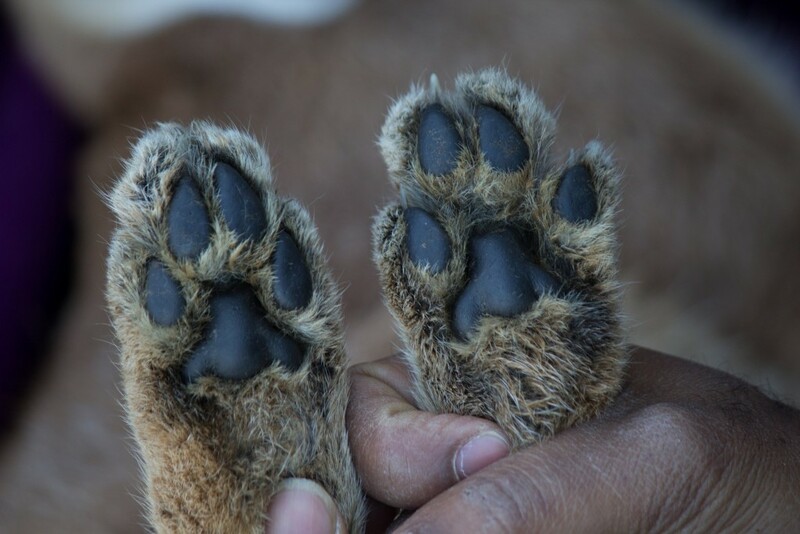 Caracals, for those who do not know, are also medium-sized cats. Shorter than a serval, but heavier, and more powerful. I would say it is the equivalent of a small, uniformly brown leopard. Shares a lot of the same attitude as well. It also have the unique ability to leap 3 meters (10 ft) straight up into the air from a sitting position. It is actually pretty good a catching flying birds. 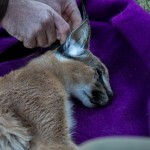 The long black hairs on the edge of the ears is a giveaway, and makes it look a lot like a lynx or a bobcat, and desert lynx is in fact another name for it. 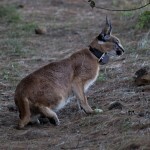 As I mentioned, I had no hope of ever seeing a caracal, but now, suddenly, that was exactly what I was going to do. 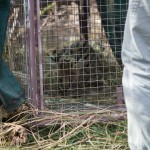 When we got to the site, we all had to stay a good distance away from the cage because the caracal was very aggressive. Too many people up close, and it would most definitely hurt itself. 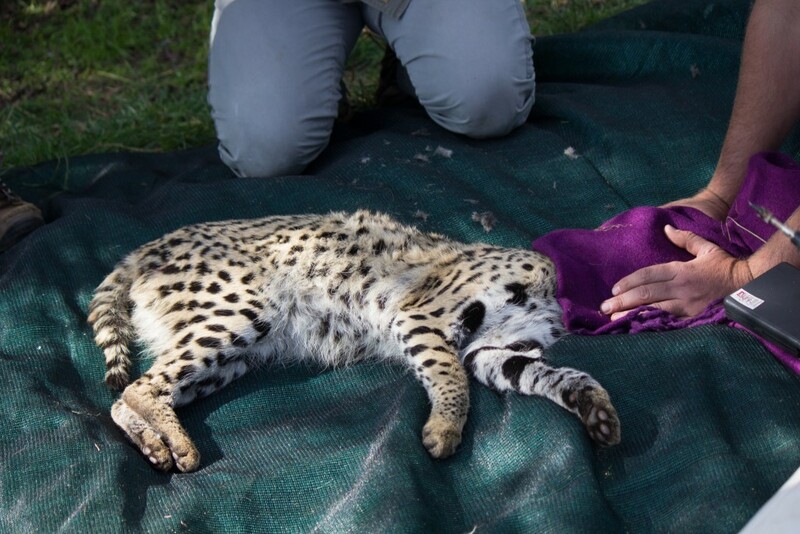 Again, like the serval, it was a young female, and not fully-grown. 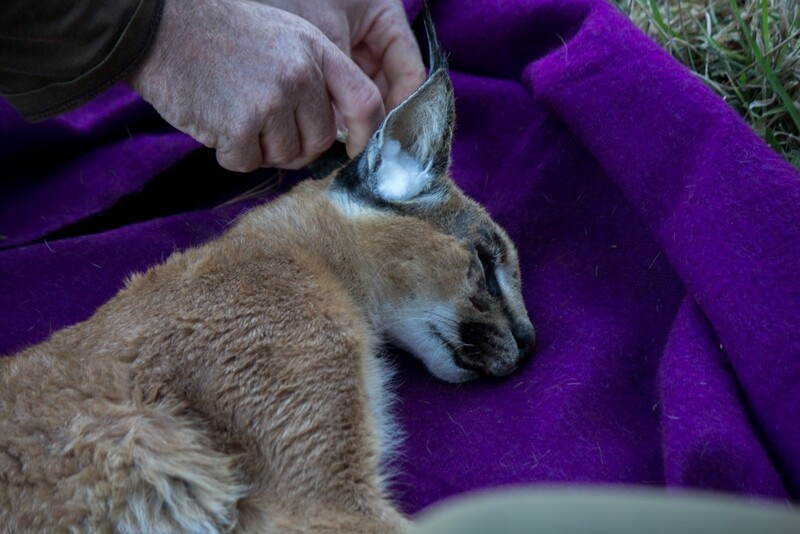 Because of how rare caracals are, an opportunity to study one could not be ignored. 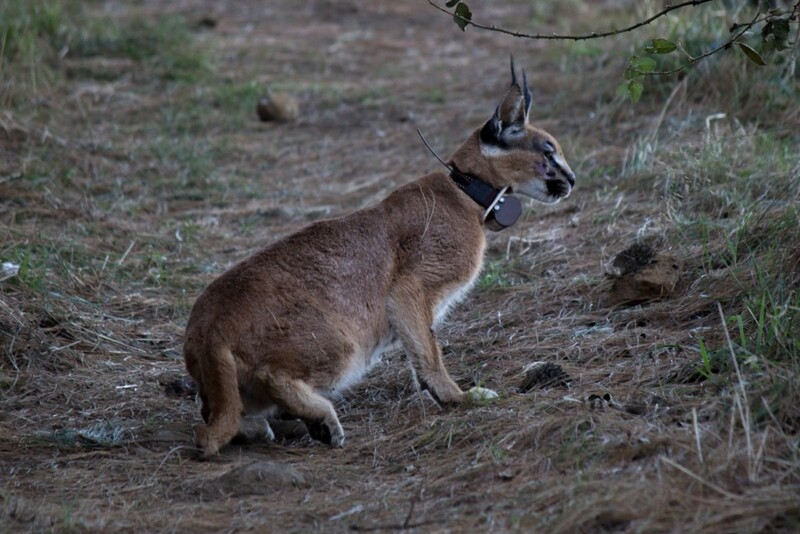 My supervisor decided to fit it with a tracking collar and include it in his serval study. 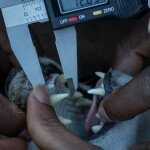 To get it darted and asleep, the vet had to sneak up to it and shoot it before it could react too much. 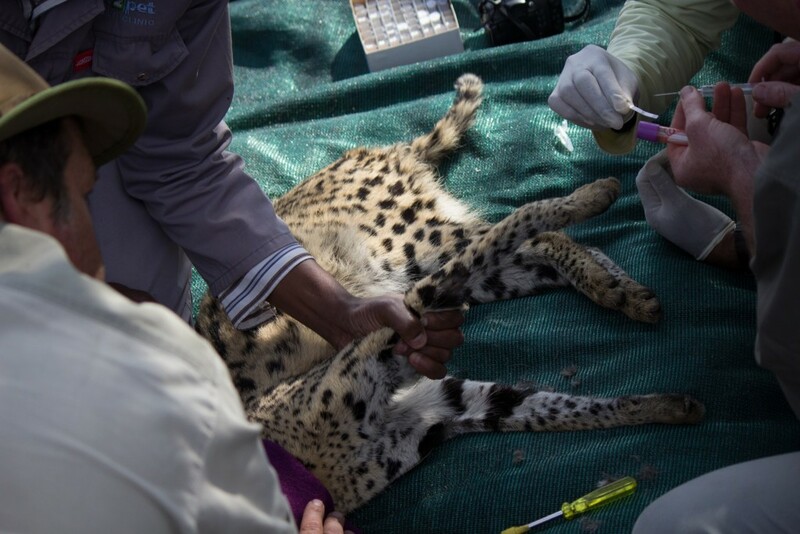 It was a success, and from then the procedure went ahead pretty much exactly as the one with the serval. It all was incredibly exciting and unreal. 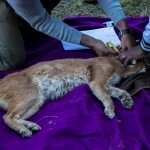 After the procedure I remember just sitting in awe as I watched the caracal slowly come to. I got a few nice photos, but I’d love the get one without a collar one day. I can’t really count any of these moments as sightings, but I have at least seen a wild serval and a wild caracal up close. 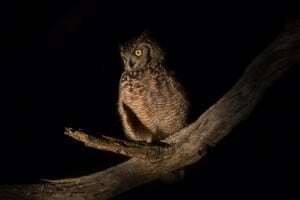 It is not really how I like to observe wildlife, and I really hope that one day I will have the chance to observe both species naturally in the wild. I won’t hold my breath though. Since I’m in Norway, I might as well focus on getting a glimpse of the lynx, which is probably just as difficult, if not even more so. 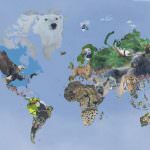 Wildlife lover, researcher and conservationist.